These files add to and replace same-named files found within Submission 559 (https://gdr.openei.org/submissions/559) The files included in this submission contain all data pertinent to the methods and results of a cohesive multi-state analysis of all known potential geothermal reservoirs in sedimentary rocks in the Appalachian Basin region, ranked by their potential favorability. 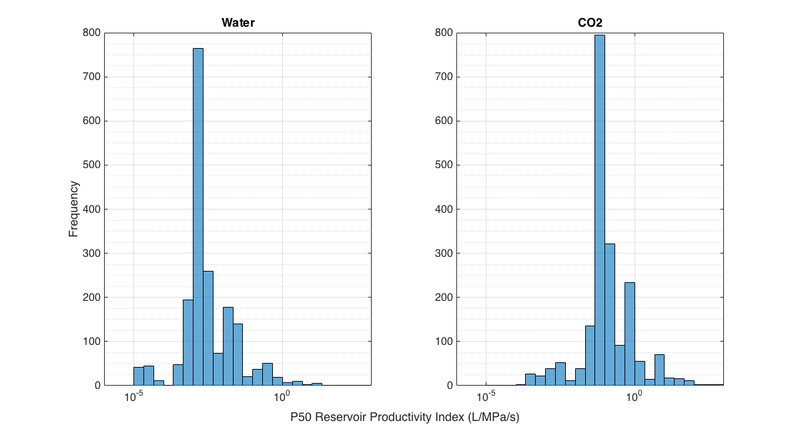 Favorability is quantified using three metrics: Reservoir Productivity Index for water; Reservoir Productivity Index; Reservoir Flow Capacity. The metrics are explained in the Reservoirs Methodology Memo (included in zip file). The product represents a minimum spatial extent of potential sedimentary rock geothermal reservoirs. Only natural porosity and permeability were analyzed. Shapefile and images of the spatial distributions of these reservoir quality metrics and of the uncertainty on these metrics are included as well. UPDATE: Accompanying geologic reservoirs data may be found at: https://gdr.openei.org/submissions/881 (linked below). Description of files included in this data set. 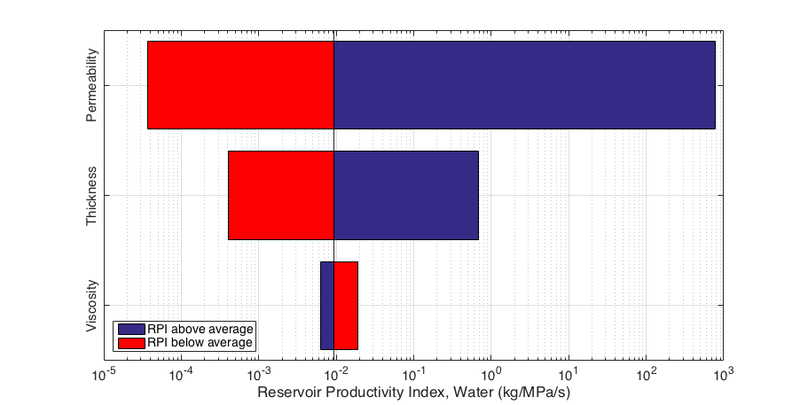 Map of variations in Reservoir Flow Capacity metric. Contains the file components of the Reservoirs shapefile. Underlying data for the reservoirs shapefile.